Sometimes, good news keeps on coming from Uzbekistan: journalist and human rights activist Solizhon Abdurakhmanov freed on 4 October, who spent more than nine years in prison on a fabricated charge. Abdurakhman Tashanov, representative of the human rights society "Ezgulik" informed Fergana about it. 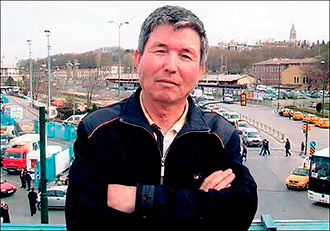 The Uzbek authorities arrested Solizhon Abdurakhmanov on 7 June 2008 in Nukus, the capital of the autonomous Republic of Karakalpakstan, charging of illegally selling drugs allegedly found in a journalist's car. He categorically rejected this accusation saying that drugs had been planted in his car. On 10 October of the same year, the Nukus City Criminal Court sentenced Abdurakhmanov to ten years in a general regime prison. Then, the lawyer of Abdurakhmanov Rustam Tulyaganov and many human rights activists said that the trial of his case was a play aimed at suppressing dissent and freedom of speech because Solizhon Abdurakhmanov held an active civil position, protected the rights of farmers and entrepreneurs in his materials, raised the ecology of the Aral Sea, child labour, the problems of the education system, and other acute social issues. Before his arrest, Abdurakhmanov worked as a correspondent for Uznews.net, the British Institute for War and Peace Reporting (IWPR), and also worked for the Committee for the Protection of Individual Rights in Karakalpakstan. In conclusion, Abdurakhmanov's health condition, which suffers from stomach ulcers, has deteriorated more than once, and he repeatedly rushed to the Tashkent prison hospital, called Sangorod. The prison authorities had been punishing severely ill journalist allegedly for misconduct by torturing and placing him in a punishment isolator (ShIZO). In October 2013, the reason for such punishment was an interview about Abdurakhmanov's health his relatives given to the press. Two days after the publication, the prison management reported his family, who came to visit, about his transfer to ShIZO and denied accepting dietary food and necessary drugs for his treatment. After that, the wife of the journalist Shukurjon heatedly asked the human rights activists to stop protecting her husband and mentioning his name anywhere. "The more you defend him, the more often they torture him. If you want Solizhon not to suffer, do not mention him anywhere else," she said in tears to human rights activist Mutabar Tajibayeva. The retirement age of the journalist allowed him to be released on an annual amnesty announced in Uzbekistan, which releases prisoners over 60 years of age. However, each time the authorities of the prison in Kashkadarya region, where he served a sentence, imputed "misconduct" to him, which the journalist did not commit causing him an inability to be listed for the amnesty. International human rights organisations Reporters Without Borders, Amnesty International and Human Rights Watch named Solizhon Abdurakhmanov a prisoner of conscience and repeatedly urged the Uzbek authorities to remove all charges and release him from the prison. For a short period, the authorities discharged several people from Uzbek prisons, the liberation of which the international community sought for years. And, probably, it would not have been able to if Shavkat Mirziyoyev had not replaced Islam Karimov. Some observers call his coming to power a "meltdown". Uzbekistan demonstrates goodwill, readiness for the liberalisation of the state system and the democratisation of society. Among such signals is the granting freedom to people whom civil society considers prisoners of conscience and political prisoners. Bukhara human rights activist Bobomurad Razzokov became one of the first - released in October 2016. In September 2013, the authorities sentenced him to four years in prison charging him with trafficking. Razzokov's friends and colleagues consider his case fabricated: in their opinion, the authorities have dealt shortly with him in retaliation for his human rights activities. A month later, a former member of the Supreme Council of the Uzbek SSR, 72-year-old Samandar Kukanov, who was behind bars since 1993, set free. The authorities arrested in July 1992 on charges of economic crimes involving the alleged financing of the opposition "Erk" party. For a whole year, he was kept incommunicado, without access to a lawyer in the basement of one of the SNB facilities in Tashkent (National Security Service); it is worth mentioning that he sustained torture - no political prisoner in Uzbekistan, it seems, could avoid it. In February 2017, the former editor-in-chief of the "Erk" newspaper, brother of Muhammad Salih, leader of the opposition People's Movement of Uzbekistan, Muhammad Bekzhan (Bekzhanov) left a prison, who was accused of involvement in the explosions in Tashkent on 16 February 1999 and sentenced to 15 years of imprisonment in the same year. But he spent three years more behind bars. In March, the independent psychiatrist Jamshid Karimov left the walls of the psychiatric hospital. He was known for his journalistic investigations of the unlawful activities of local authorities, which is why unknown people repeatedly attacked and beaten him. In 2006, the authorities placed him to a psychiatric hospital for five years. And in 2012, two months after they released him, they put him to custody back. In August 2017, former head of the department for foreign economic relations of the Ministry of Defence Erkin Musayev left prison. He was convicted in 2006 for 15 years of imprisonment on charges of treason and the disclosure of state secrets. On 3 October, the gates of the prison opened to free Jizak human rights activist Azam Farmonov, who spent more than 11 years in prison. "The United States welcomes the release of human rights defender Azam Farmonov. 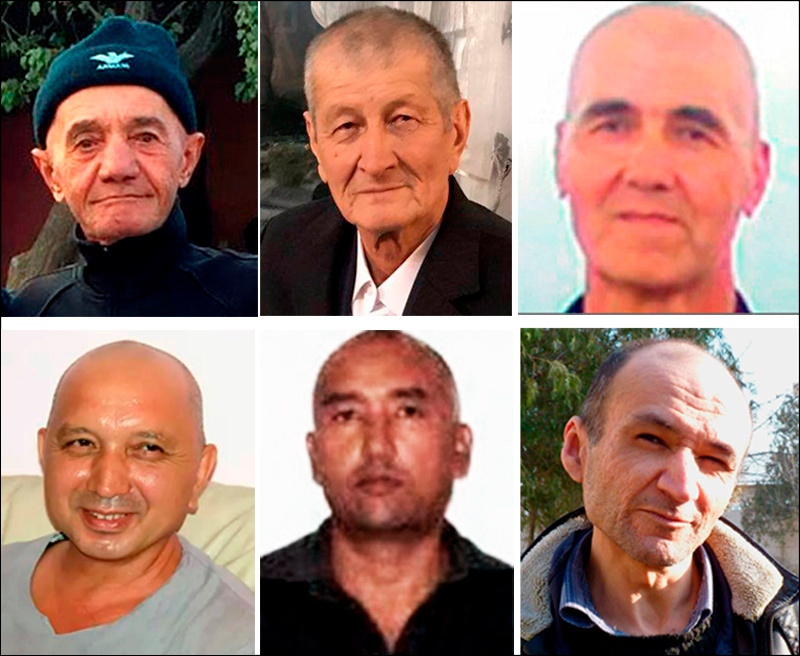 The news follows the release of Muhammad Bekjanov, Murod Juraev, Erkin Musaev, Jamshid Karimov, and other long-held prisoners of conscience. We applaud these positive steps and hope they signal future releases and a more open approach to civil society. Multiple international human rights groups have highlighted the long incarceration of Azam Farmonov on dubious charges in 2006, and the UN Commission against Torture in 2013 called for Farmonov’s release. The United States acknowledges President Mirzoyoyev’s commitment to strengthening human rights protections in Uzbekistan, as stated in his address at the United Nations, and we look forward to sustained stability and progress towards broad political, social, and human rights reforms," US Embassy in Uzbekistan greeted on 3 October on its website. The release of political prisoners is the result of many years of efforts of the international human rights community and governments of Western countries. We should note that the liberation of Farmonov and Abdurakhmanov took place prior to the visit of the UN Special Rapporteur on freedom of religion or belief Ahmed Shaheed to Uzbekistan. During his first days in this country, he met with the head of the Uzbek Foreign Minister Abdulaziz Kamilov, the leadership of the Ministry of Justice, the Ministry of Internal Affairs, the ombudsman Ulugbek Muhammadiev, the director of the National Centre for Human Rights Akmal Saidov and others. The arrival of Ahmed Shahid is a mark: of all the UN human rights rapporteurs, only the special rapporteur on torture visited Uzbekistan - in 2002. Since then, Uzbekistan denied them permission to enter. But the presidents, strangely enough for this state, are changing. The political climate is also changing, fortunately. Not so quickly and qualitatively, as many would like, but this rate is saving - for some political prisoners. We would very much like to have it for everyone. Including - for the journalist Bobomurod Abdullayev, whom SNB unexpectedly captured on 27 September 2017 and accused of planning revolution in Uzbekistan.